Vitamin B1 (Thiamine) acts as a coenzyme necessary for the conversion of carbohydrates into glucose, which is burned in the body for energy. It is essential for the functioning of the nervous system and a deficiency can cause beriberi, a disease marked by weakness, paralysis and oedema. It acts as a liver protectant and aids in the growth and repair of body tissues. 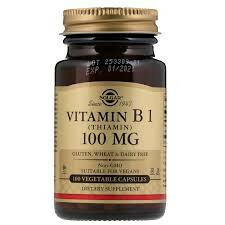 Vitamin B1 is also extremely effective as an insect repellant. 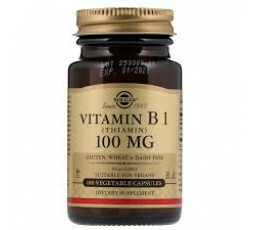 Take 1 Solgar Vitamin B1 Vegicap daily, preferably at mealtimes, or as directed by a healthcare practitioner.